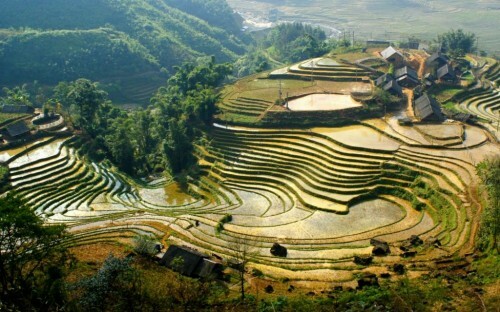 Cheap flights to Vietnam: Ho Chi Minh City for only €347! Return flights from Stockholm to Ho Chi Minh City are now available for only €347! The flight is operated by best airline in the world, Qatar Airways, so the pleasant experience onboard is guaranteed. The price includes 23 kg luggage as well. Regular tickets to Vietnam are €600 and more! Getting to Stockholm is easy from almost every airport in Europe, check our search form on the right side to find your connecting flight or you can also go with cheap Flixbus buses. Travel time is great with only 1 short transfer and travel time around 15 hours! Travel dates are from November 2017 to April 2018. The cheapest price of €347 is available if you book for 3 or more people. If you book for 1 or 2 passengers the price is €366 per person. Adjust the number of passengers on Momondo. « WOW! Last minute flights to Mexico: Cancun for only €200! !